I’m really excited about November’s card because it’s traditionally the luckiest card in the whole deck! 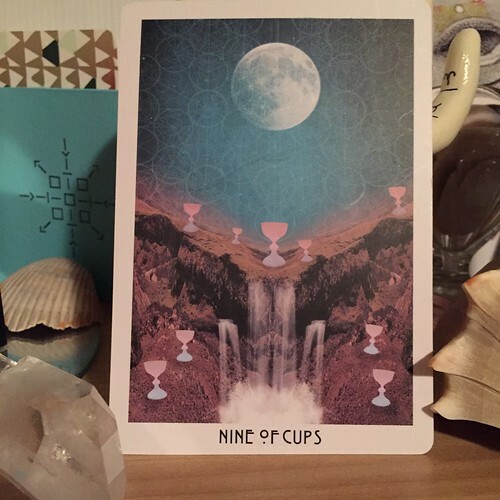 The Nine of Cups is this overflow of joy, luck, happiness, abundance…anything and everything great and wonderful is here, in this card! 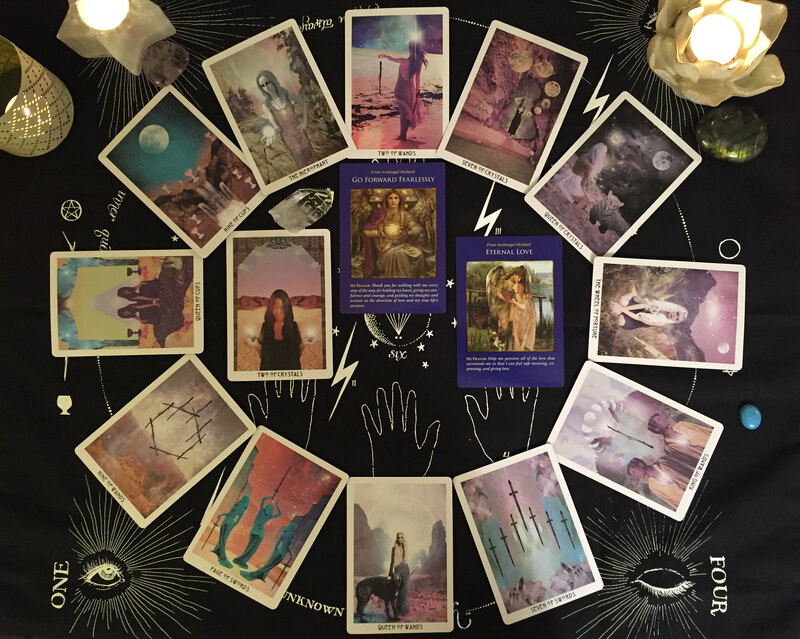 What I love about this version from the Starchild Tarot is the sense of symmetry. There’s a beautiful balance in the background and the Cups are placed around just so. No quite mirrored, but not too far off from each other either. That makes me think of the things we hold dear. Some things are held closer while others are further away. To me, the waterfall is the welling up and overflowing of our intuitive subconscious. Everything has been leading up to this beautiful feeling of things being as they should be…for the moment anyway. Things are flowing, things are coming together, things are feeling abundant. Have you been manifesting something that has started to finally take shape? Are you laying out plans for something bigger and better in the months ahead? This card is here to support you to let you know that you’ve got this! What ever it is that you’re working toward, you are on the right track! Follow that gut feeling and listen to where it guides you. Are you finding out that the things you once wanted to draw in are things you’d rather wash away or are they flowing in with ease? Check in and make sure that everything you’re wishing for is something you actually want!